Scooper - Entertainment News: Did Tekno shade Wizkid or Davido? Did Tekno shade Wizkid or Davido? We might just have missed out an important sub in Tekno’s rant yesterday. 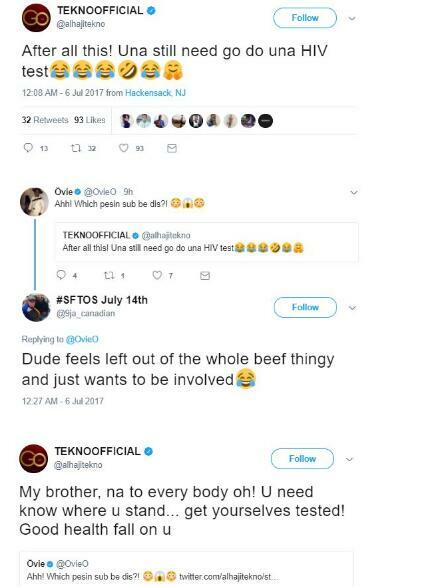 Recall, we brought you details about Tekno jumping into the Ongoing beef between Davido and Wizkid, which Cynthia Morgan claimed was staged. Tekno seems to have bought himself some chunk of the ongoing beef after he took to his Twitter to throw shots at both singers.